And if your sweetheart is gluten-free, check out our Valentine’s Day Gluten-free S’mores Cookie Sandwich Recipe! 5 Adorable DIY Christmas Desserts! Remember to pin this so you remember them when Christmas comes around! Maintain your mom-sanity with wholesome snacks and fun lunches! Just as I thought we were running out of ‘firsts’ for my boys, we are about to celebrate more exciting milestones! 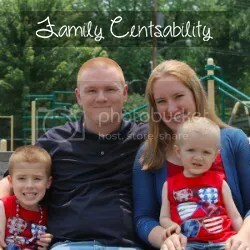 This year Alex will be attending full-day kindergarten and Evan will be attending half-day preschool. We will also be moving in a few months to a new city, so we have a lot on our plate! Regardless of all the nervousness and excitement of our upcoming events, I know I have to hold it together to make sure our family stays healthy and has time for fun! To stay on top of things, I always keep a planner or calendar around. While I love having the convenience of my phone calendar, I also love having a calendar in our kitchen to glance at. I keep all appointments, early dismissals, special dates, etc on this calendar. I also try to keep up on a daily grocery list with the Our Groceries app on our phones. This allows my husband and me to access the grocery list from anywhere, without worry of forgetting the list at home. Sundays are often our grocery shopping day where we make sure we have plenty of bread (our favorite is Nature’s Harvest® Bread Honey 7 Grain) and snacks on hand for the upcoming week. The boys recently discovered and love Entemann’s® Little Bites™ snacks at Walmart, and as a mom, I approve. They’re a good source of vitamins, contain no high fructose corn syrup, no artificial colors, flavors or preservatives, and they contain 5g of whole grains per serving! There are several flavors and we love adding them to our lunchboxes or saving them as an after school snack. Since Back to School often means day after day of boring lunches for the kids, I try to make it fun and bring some variety into it while still holding onto nutritional value. We prepare our lunches the night before, even though Evan and I will eat at home while Alex is at school. Evan enjoys fetching all of the supplies, while Alex helps make sandwiches. After the sandwiches are ready, we cut them into fun shapes or add special toppings. Their favorite, of course, is sprinkles or candies, but we try to limit those and stick to healthier options such as slices of banana or low fat chips for some crunch. I let the kids put their toppings in a baggie or portion of their Bentgo bento boxes to add to their sandwiches at lunchtime. Head over to our Kid-Friendly Recipes Pinterest board for more lunch ideas to keep your kids happy all year long and let us know your favorite way to keep the kids’ lunch fun all year long. And parents, remember to head over and enter to win the $10,000 “Life of the Lunchbox” Savings Bond sweepstakes! I decided to make lunch a little more exciting today! The kids love having a peanut butter and jelly sandwich with a banana on the side. Even when I try to fix something else, they insist on the same ol’ thing. So I thought I’d have some fun and change it up at least a little bit, with a minion inspired idea! So my kids have only seen Despicable Me once and have not yet seen the new Minions movie but they’re still obsessed with minions. We were at the doctor’s office last week and my 2 1/2 year old saw a commercial and yelled “Minions!” for everyone around to hear. It was adorable how excited he was. I can see it though – those little cute yellow guys are hard not to love! So here’s the recipe! Try not to forget.. it’s a hard one to remember ;) No, but really, I know we all need ideas once in a while, so remember to Pin this for later! It’s pretty simple and only takes a couple of minutes. The kids could even make it themselves! Remember to pin this fun Minion snack idea for all the other parents out there when they’re struggling to come up with an after-school snack!